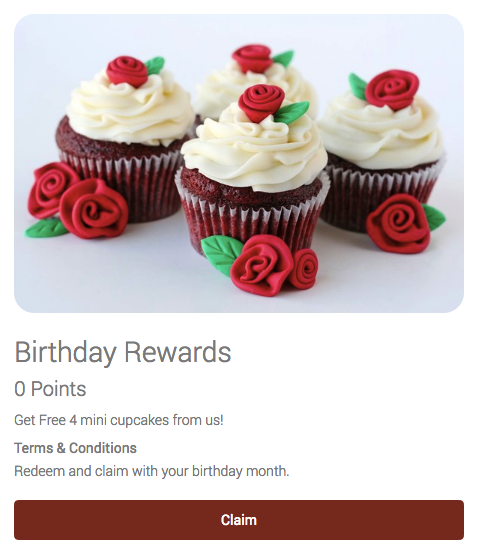 Birthday Rewards / Treats is one of Eber commonly used feature. Businesses can rewards their members on their special occasions and encourage members to visit them on their special day. Emails can be trigger automatically to wish members on their birthday or days before their actual birthday day to show appreciation. Member may redeem for Birthday Rewards available in-store or online. Expiry of the rewards can be stated and set accordingly. All birthday related settings can be found in their respective category in Eber Business admin.